Ghana is a nation in which fish is the popular delicacy, constituting about 60% of animal protein in the Ghanaian diets. Fish available in Ghana mainly consists of 47% harvested fish, 18% imports, 3% farmed fish and 32% deficit. Due to the annual deficit of over a half million metric tonnes of fish and fishery products and high demand for fish, Ghana government has started to stimulate local fish farming, projecting to increase the fish production from 10,000 MT in 2010 (FAO) to 100,000 ton in 2016. The rapid expansion of fish farming will contribute to accelerating fish feed production in Ghana. Ghana has good conditions for aquaculture: a perfect climate for raising tilapia and many other species, good water quantity and quality, abundant labour force and adequate agricultural resources to supply a large fish feed industry in the country. Moreover, there is policy support from the government. Thereby nowadays Ghanaian aquaculture is experiencing a rapid development. Tilapia is the most favored fish species, widely applied in farming, market and consumption. Let’s take Tilapia as the example to see the aquaculture production in Ghana. Tilapia price in Ghana is around $2.50 to $3.0 per kilo, which is comparatively high. 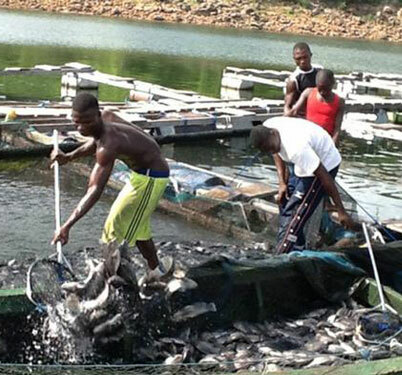 There are several Tilapia farming types in Ghana: ponds/tanks, dams/dugout/reservoirs, and cages. The major Tilapia farming type is cage culture which is the practice of rearing fish in cages, widely applied in existing bodies of water including lakes, large reservoirs, farm ponds, rivers, estuaries, and costal embayments. Cage farming of Tilapia mainly locates in Lake Volta, and from the following chart we can see that cages farming has increased quickly from 2009 to 2014 with an average annual growth of around 70% and contributes nearly 90% of the total production from aquaculture. Feeding of fish during culture aims at producing the maximum weight of marketable fish within the shortest time to make the farming profitable. The feed diet can provide the energy for movement and all other activities the fish involved, and all the nutrients in the right proportions to achieve growth. The nutrients needed by fish include carbohydrates, fats, protein, vitamins and minerals. Other components of feed are fiber and moisture. 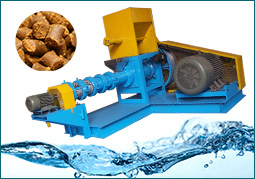 Generally fish feed consists of pelleted feed (sinking pellet feed) and extruded feed(sinking and floating pellet feed). Floating feeds allow observation of the feeding response and are effectively retained by a feeding ring. Since it takes about 24 hours for high quality floating pellets to disintegrate, fish may be fed once daily in the proper amount, but twice-daily feedings are better. Sinking pellets disintegrate quickly in water and have a greater tendency to be swept through the cage sides. For more information of fish feed pellets, you can visit the article: Extruded Feed and Pelleted Feed. There are two main ways to obtain feed for fish farming in Ghana: locally produced feed and imported feed. However, fish feeds locally produced are in bad quality as most of them are not extruded. Imported feed is appropriately 30% more expensive than locally produced. So importation is not a quick fix. On average the costs for Tilapia farming in Ghana consist of 70% of the feed cost. Therefore, the availability of high quality fish feeds is one of the major bottlenecks of aquaculture development in Ghana. So it is necessary to produce extruded local fish feed. Fish feed pellet production mainly passes through the following steps: material crushing→material mixing→extruding process→pellets drying→oil spraying process→pellets cooling→pellet packing. The most vital step is the extrusion process. You can find detailed information of feed production in the article-fish feed production line. 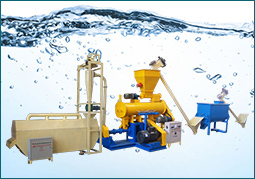 For larger scale feed production, fish feed production line can be built. The construction and operation of feed production line cannot only lower fish feed cost but also improve the feed pellet quality for better fish farming. 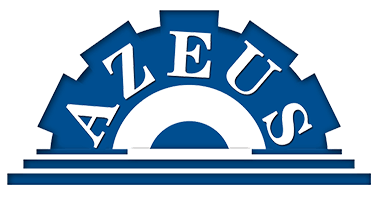 Azeus Machinery is the professional manufacturer of fish feed extruders and other auxiliary machines for fish feed production. Providing high quality machines with competitive price, we have cooperate with many fish farming customers all over the world such as Nigeria, Bangladesh, Ghana, the UK and so on. We can help customers choose a suitable machine, offer right guidance for machine operation, and provide free feed formula. Though cultured fish is developing quickly, it still constitutes less of domestic fish production. There are constraints to aquaculture in Ghana: the lack of fish feed, lack of fingerlings, lack of inadequate funds and lack of restricted knowledge. 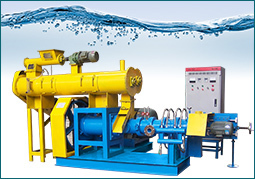 Azeus machinery can offer farmers top fish feed extruders to produce high quality fish feeds, and often update the fish farming knowledge for farmers. Moreover, the Ghana government has banned the import of frozen Tilapia to stimulate local fish farming and embarked on a highly ambitious National Aquaculture Development Plan (GNADP) with a production target of 100,000 tons of farmed fish at the end of 2016. Thereby there are a large quantity of business opportunities existing in Ghanaian fish farming, which accelerating the extruded fish feed production!